Wear your Fitness Tracker for Swimming in Style. It does not seem long ago I wrote about the waterproof and stylish fitness tracker Shine from Misfit, but time flies. With its sturdy design and aluminum finish, it has become many people’s favorite gadget for tracking activity. The round tracker device could be inserted into a wristband, a necklace or in a magnetic clip with a big variety of places you could place it on your body. Now it’s time to take it to the pool again, and this time with some great upgrades for swimmers. According to Misfit, they have made the world’s first activity swim and sleep tracker. Misfit says: Speedo Shine is the world’s first activity, swim and sleep tracker. Misfit has collaborated with the swim gear manufacturer Speedo to make a better fitness tracker for swimming. They have called it the Speedo Shine. The development of trackers for swimmers has in general been more challenging and down-prioritised simply because the marked seems to like gadgets for running better. Let’s take a look at what this fitness gadget can do and what are the differences between the Misfit Shine and the Speedo Shine. The original Misfit Shine was an activity and sleep tracker made from anodized aircraft grade aluminum and was launched in December 2013. Back then the design itself, and that they could fit a 3-axis accelerometer sensor inside such a small disc, was quite impressive. It could track calories, sleeping, your steps and distance when you went for a run or walk, as well as a variety of sports like cycling and swimming. The 12 small LED lights on the front gave you an indicator of time as well as feedback on other data. On the back, there was a small display as well but apart from that there it was deepened of being synced to a smartphone or table to view detailed data. The prices have dropped quite significantly since then, maybe because there were new products on the horizon. The major pros for this activity tracker were the elegant design and that the CR2032 watch battery could last for up to 6 months before it had to be replaced. In the box came the Shine, Sports Band, Action Clip, Clasp, Manual and a tool for battery replacement. The new Speedo Shine is still an ordinary activity tracker with all the same monitoring as the original mentioned above. It looks exactly the same, apart from the color, and is made of the same materials. It comes in a new colour called Pure, which are clear anodized aluminum. The sports bands you use for wearing it on your wrist are either black or white. It is still waterproof down to 50 meters. The firmware on the other hand, has undergone a major upgrade on the inside that makes it a perfect fitness tracker for swimming. These upgrades include the possibility to count the number of laps, lengths and total distance during your swimming exercise with high accuracy. This is exclusive to the Shine swimmers edition. To start the swim program, first sync the device to your smartphone, then select Swimming from the Activity menu to make the unit ready. In the water, tap the device three times to activate lap counting. Triple tap again when you are finished and sync to see the results. It has undergone a major upgrade on the inside with the possibility to count the number of laps, lengths and total distance during your swimming exercise with high accuracy. It cannot identify and count stroke types thou, which you find in other expensive fitness sport watches like the Garmin Forerunner 920XT. Then again it’s not fair to compare a fitness tracker like the Shine to an expensive sports watch. At the moment, it is a bit more expensive than the original Shine, and only available through Misfit Store. The Misfit App that is necessary for communication between the device and your smart device with Bluetooth 4.1 has an upgraded Swimming activity setting. The app keeps track of all the general statistics like lap counts, steps, calories, sleeping and distance and provides you with detailed info screens of your movement. There’s also a possibility to log food and take pictures of what you eat in a Photo Journal. The app is free and can be downloaded from both Google Play and App Store. An activity tracker has proven, at least for me, to be a great tool as a personal trainer which motivates me to move that extra bit I need to get in better shape. In the pool, it is equally important to have an accurate tool that keeps track of exercises and lengths to see improvement. With a fitness tracker for swimming, you are in full control. The Speedo Shine is a superb waterproof activity tracker for swimming in the pool. If you can’t afford, or if you don’t feel you need, one of those more expensive trackers, this one is a perfect choice. It also looks stylish and can be worn in every other occasion as well. Don’t forget that this is not only a fitness tracker for swimming but also an activity tracker for monitoring everyday movements, including sleep, around the clock. 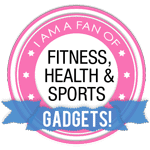 If you are in doubt check out my review of Fitbit Charge HR and the TomTom Multi-Sport Cardio Watch too which are also suitable gadgets for swimming. Do you want music under water? With a FINIS Neptune V2 MP3 Player and your training will become more fun. Where Can I Buy Speedo Shine? At the moment, it can be ordered through Misfit Store for $79.99 or on Amazon, which i recommend. UK: Purchase on Amazon.co.uk for. If you are in or close to the USA click the top link to check recent price and additional info. If you are in or close to the United Kingdom, click the bottom link. Do you have any questions or comments on my Speedo Shine review, do not hesitate to leave a comment below! Take care. Huawei Watch 2 GPS Smartwatch with Optional 4G! Fitbit Charge 2 For Everyone! Hi there, this is really good. Fitness is a really hot topic now and people are talking about everywhere. I have never heard of the Speedo Shine before and I am really fortunate to come across this article. I am presently working on my fitness and I think this will be very useful and will go ahead and give it a try. I am just returning to fitness training and find running and most cardio programs to be tough on my joints. I love swimming but become bored easily, when carrying out other forms of cardio I found my smartphone apps to be excellent at keeping me interested. The daily totals, best days, most active etc gave me some interest to further myself and keep my fitness levels improving over time. Now this Speedo Shine has come to my attention it seems this may be just what I need to increase my time in the pool. I note it is waterproof to 50M, well if I am any deeper than that please call the lifeguard! Will be purchasing soon and hopefully using most days, thanks for the information. Thanks for the comment Stephen. I agree with you that 50M is more than enough at least for swimming in a pool. 🙂 Glad you got exited by the Speedo Shine and consider buying it. Always heard stuff about the fitness tracker but never really cared much about it. It’s great to know how much stuff it can actually do. Everything is very informative and easy to read also which I love. Thanks for this! I always find it rewarding when people understand more about what a fitness tracker can do. That makes my work worthwhile. Glad you enjoyed reading the article. This fitness tracker is exactly what I need. Others have either not all the features I want or are too expensive. This is just the right swim tracker. Thank you very much for that great review. That’s a great help. well, i heard a lot about those fitness trackers either for running or swimming…but i have never read a review including all that information about the swimming tracker ! since swimming is ma\y favorite cardio exercise this speedo shine will be of great value.. in addition to its good price its waterproof too which is great! Thanks for the comment Sarah. I strive to make reviews with as much useful information as I can. If possible, you should try out one of these trackers while you swim. I think it will get your training to a whole new level. 🙂 Get back for more reviews soon. I’m planning to write an article about whats the best swimming tracker. Enjoyed reading the article, I do some swimming, but more running to be honest. The article is easy to follow and clear. I’m very tempted to get a Speedo Shine. State of the Art. Only snag with viewing the article is this pop up came on and I find those things annoying… Good article and hope all goes well. Hi, I stumbled upon this site, which is amazing I must say! Such a useful and quality content and site layout overall . Very good written and easy to understand, especially for beginners. I was very happy to find out about this product. Looks to have great capabilites. But…swimmers need a vibration alarm to get them up for those early morning practices while not disturbing the roommate! I don’t see that function listed. I would buy one in a second if it did. Do you need to have your smartphone out by the pool for it to work? Or can you sync it beforehand, and then just tap it three times when starting? Hi Jane. You don’t need a smartphone with you by the pool. The data is collected and stored in the device until you sync it. There is no problem syncing once a day for instance. Wow, I didn’t know that this thing even exists. Really great stuff for swimming. I will check out, and maybe buy one for summer. I love to swim. After one swimming in the sea I love to see how much I spend in the see and how much I travel. Thats why I love application for smartphones. Hi, Thanks for your comment Ogi. Being able to track distance and progress while swimming is always a good motivator. Thank you much for the thorough review. I am trying to get healthier right now to better manage my fibromyalgia and have been looking into a fitness tracker for a while. Swimming has always been the best and most enjoyable workout for me so I was pleased to find out about this tracker! Thanks to your review and a few other articles I ordered it and it came a few days ago. Looking forward to my first pool workout with it today! Hi! Hope you enjoy you swim and that it helps you with your fibromyalgia. Let me know if the Speedo Shine worked for you as expected. Thanks for keeping us updated with the latest sporting gadgets. These days, technology changes so fast. I’m personally a big fan of sporting watches since I exercise a lot and thus I like to know my stats. I loved the speedo shine you shared. The design… just amazing! Looking forward to your next posts. Nice article. Very informative. It helps me a lot. Many thanks. Thanks for the comment, Jake.